Our Plumber Parma Ohio here at Northeast Plumbing has been helping people out for several decades and can certainly help you out with any plumbing needs you may have today. Call our Plumber Parma Ohio. You can get help from our Plumber Parma Ohio with things like drain cleaning, water repair replacement and repair services, and sink installation services. Northeast Plumbing offers a Plumber Parma Ohio that can help you with all of these things and much more. We have specialized in all plumbing needs for the last 20 years and built a reliable level of expertise. Our residential plumbers know what to do and can offer free estimates on everything. Call us today! Water heater repairs and replacements are part of every home owner’s maintenance. Our goal is to give you back your hot water as quickly as possible at very fair rates. 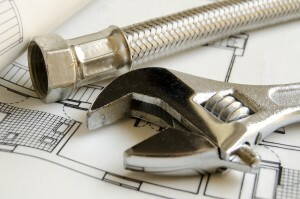 We are a full service plumbing and drain service repair company. Our experienced plumbers do all aspects of plumbing installation and repair including hot water heaters, pumps, shower fixtures, toilets, pressure regulators, water service lines, sewer service lines, gas lines, turn key polybutylene pipe replacement and most anything related to plumbing. We have all the necessary equipment to clear blocked drains, camera inspect pipes and detect water line and gas line leaks. Our plumbers are more experienced than the average plumber in the area. We hire only plumbers with over 10 years of plumbing service experience, clear background checks, clear driving records, a valid Ohio plumbing license and with a stable family life. We have an extremely low turnover over of our plumbers, good management produces happy plumbers and happy plumbers do better work. Great Service! Thank you for making necessary repairs fast and clean. I use this company as my primary plumbing service and always get an amazing experience.